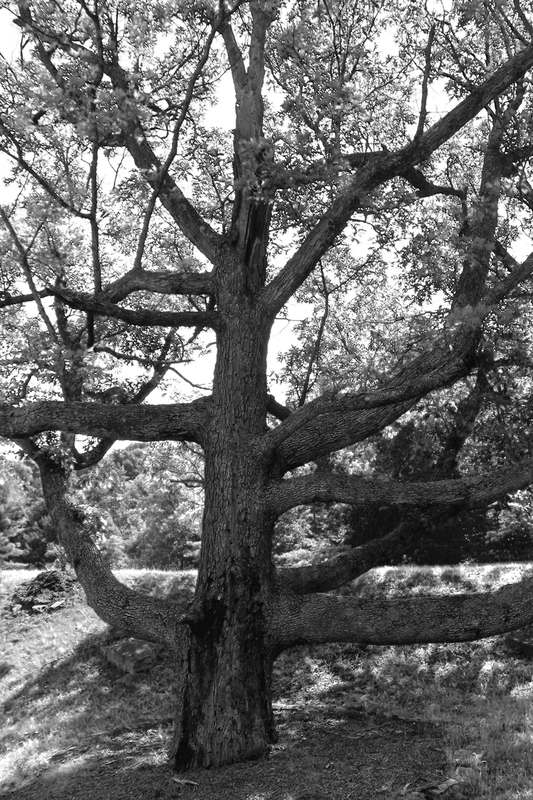 This beautiful tree, nicknamed “Old Tree,” greets players as they approach the green on the first hole of the Packsaddle Ridge Golf Club near Harrisonburg, Virginia. It towers over the elevated green, and, depending on the time of day, will throw shadows over this unforgiving hole, providing a golfer with yet another excuse for a missed putt. Today, Old Tree simply observed us as we tried our best with a challenging pin placement, groaning in the breeze when our “gimme” shots not only missed the hole but flowed well beyond and gracefully down to the fringe for a 12-foot uphill second putt. It’s too bad Old Tree couldn’t give us a bit of advice on this par four, as I’m sure it’s seen its fair share of missed shots—and I’m fairly certain that on this hole today Old Tree would have told us to just accept our fate, smile and move on. I didn’t realize that you are not only an avid horsewoman but a golfer as well!!! Well, I play golf but Gary and Cam are the avid golfers in the family!